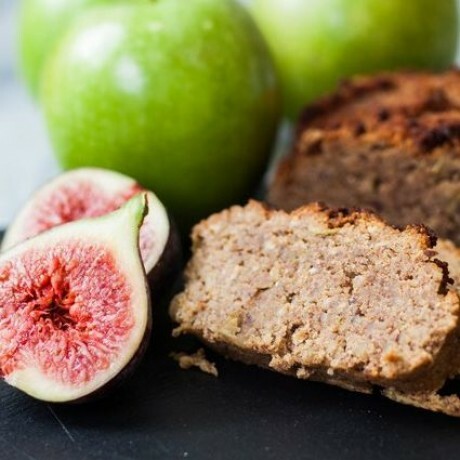 A grain-free paleo fig and apple loaf made with almond and coconut flours. A delicious, just-sweet-enough treat that is both nourishing and deeply satisfying. Cru8 breads are organic, nutrient dense, low GI and a slow releasing superfood. Available to buy as one 250g loaf. Contains almonds. Manufactured in a facility that processes nuts. Delicious banana and cacao paleo bread - even my toddler loved it! Bonus points there ! Excellent bread and I am thoroughly addicted! Excellent bread and I am thoroughly addicted! Haven’t eaten “ normal” bread since I received my first loaf and don’t miss it all. Service is excellent and any queries are dealt very promptly. Wonderful, I’ve enjoyed this bread as a cake. Guilt free, raw and powerful superfood snacks created by someone who has experienced the positive results of high-raw eating firsthand.